The Living Younger Longer Institute is an autonomous research and educational institution in the Denver area. Our outreach is through treatment at our clinic, teaching classes and private trainings. Our mission is to inspire and motivate healthy living by providing outstanding mind-body educational, art, music and physical activity programs in the community. While in faculty positions at the University of Colorado Health Sciences Center, The University of Denver, and Metropolitan State University and the Colorado School of Traditional Chinese Medicine. 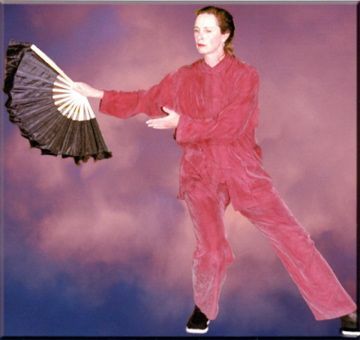 Joe and Jacqui developed a unique curriculum for allowing students to truly experience the accumulated wisdom of centuries through the timeless exercise of Tai Chi. Dedicated to lifelong learning of health through fitness. 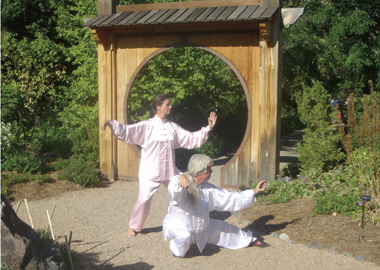 Joe and Jacqui have established and coordinated clinical Tai Chi and Medical Qigong programs at St. Joseph, Littleton and Porter Hospitals. Joseph Brady, M.S.T.C.M., L.Ac., Dipl. Joseph Brady is a licensed acupuncturist and nationally board certified practitioner of Traditional Chinese Medicine (TCM.) Joe began practicing Yang style Tai Chi Ch’uan in 1967 and has been teaching Tai Chi/Qigong and Traditional Chinese Medicine for 30 years. Presenting at scientific and medical conferences around the country, Joe has twice been a featured presenter at the Oxford Roundtable at Oxford University U.K. Joe currently runs his own clinic and serves as Director of Living Younger Longer Institute. Dedicated to providing students with compelling information on health issues coupled with ancient wisdom, she inspires students to have fun taking control of their own health. Jacqui has been appointed and elected to advise and serve on local, state, and national boards. She served many years as Western Region Director for the National Association of Health and Fitness and Vice President of the Colorado Governor’s Council for Physical Fitness. She twice ran for school board to promote the expansion of Art. Music, and Physical Fitness in Denver Public Schools and throughout education in general. Winner of numerous awards, Jacqui has twice been a featured presenter at the Oxford Roundtable at Oxford University, England. The Institute seeks to empower it's members to take control of their own health by providing access to world class art, music and physical activity programs. Our lifelong learning and health promotion programs help you find your own inspiration, help create healthier communities and share the adventure with whoever is interested.